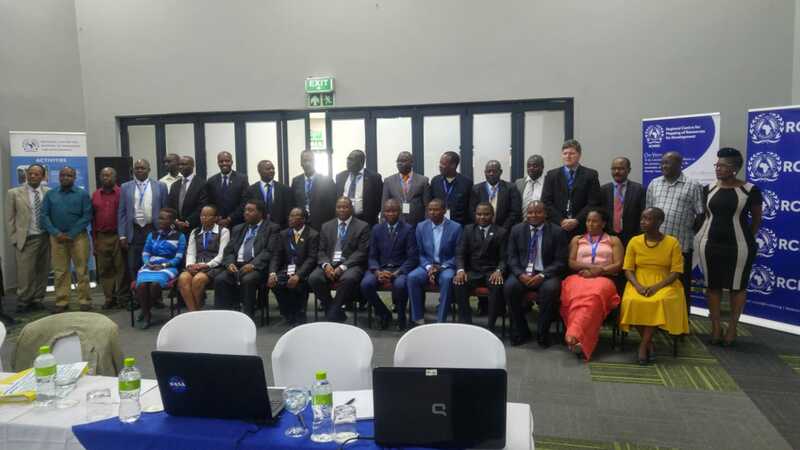 The 52nd meeting of the Governing Council (GC) of the RCMRD and its Committees is ongoing in Kasane, Botswana. The GC started on 12 November and will end on 16 November 2018 prior to the Conference of Ministers scheduled for 19 and 20 November. The GC will review and approve implementation of the 2018 Annual Work plan, consider and approve the 2019 Work Plan, receive the 2017 financial audit report, appoint senior staff and appoint contractors for infrastructure projects at the Centre. RCMRD Director General Dr. Emmanuel Nkurunziza welcomed the delegates to the 52nd Technical Committee Meeting. He thanked the delegates for honouring the invitations. He noted the importance of the Technical Committee as a management organ of RCMRD, which gives advice to the Governing Council on all matters relating to administration, strategy, policy and governance.The DG then invited the outgoing GC Chairperson, Surveyor General of Namibia Mr. Ndilipunye Shanyengana. In his remarks, the Chairperson thanked the Government of Botswana for the warm welcome accorded to the delegates. 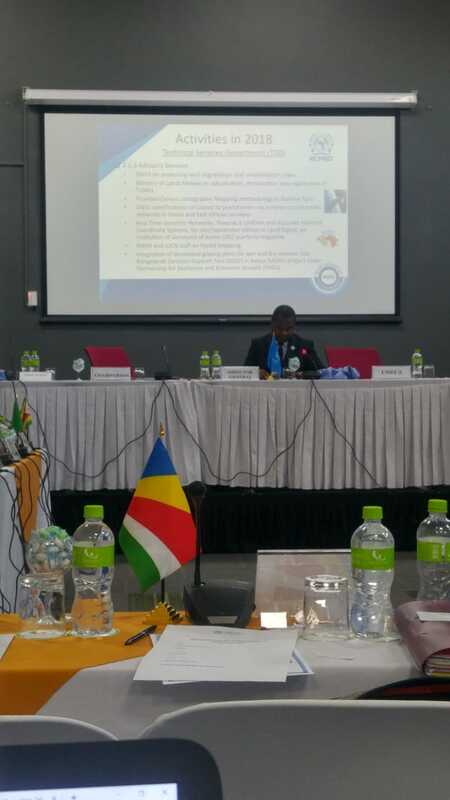 He reiterated that the ideals upon which the RCMRD was created was evidenced by the presence of the Member States at this 52nd meeting of the Technical Committee. He extended a warm welcome to delegates and thanked the Government of Botswana for hosting the meeting in Kasane, Botswana. He noted that the TC was a very important organ of the RCMRD as it had the role of deliberating the future of the RCMRD by guiding the Governing Council on all issues technical. He mentioned that the boundary affirmation was an important task. The outgoing Chairperson thanked all the member States for trusting Namibia with the responsibility of chairing the TC during the year 2018. He invited the Chief Guest Mr. Johane Chenjekwa, the Chairperson Chobe Land Board to officially open the meeting. The Chief Guest, Mr. Johane Chenjekwa, the Chairperson Chobe Land Board, Chobe-Botswana started his remarks by extending his gratitude for the opportunity to welcome delegates of RCMRD to the 11th conference of Ministers and 52nd Meeting of the Governing Council and its committees in particular the Technical Committee. He noted that Botswana had three tenure systems; State Land, Freehold Land and Tribal Land. "Covering about 22,500 KM Sq, 70 percent of Chobe District is considered State Land due to the Chobe National Park, Forest Reserves and Kasane Town," he said. The Chief Guest challenged the delegates to re-affirm their commitment to keep the Centre as per its vision by giving good guidance to the GC on all issues including technical issues such as Border Reaffirmation. "Border Reaffirmation should be carried out with the utmost care as this activity will ensure cooperation, peace and security." Mr. Chenjekwa further wished delegates productive and successful deliberations and declared the meeting open.